Western Cultured is excited to announce our collaboration with X-Tracted Laboratories, who've processed our Jurassic OGK, Perma Frost and Moon Widow into wax. Our staff recently toured their top notch facility and spoke with CEO Ryan Abernathy about how X-Tracted has refined the extraction process. Western Cultured: Thanks for taking time to speak with us about X-Tracted! A little history about your company... When did you start X-Tracted? What was the inspiration? Ryan Abernathy: X-Tracted Laboratories was founded on the mantra, "safe for the processor, safe for the patient." We have served the medical marijuana community for years supplying the highest quality concentrates to the best medical retail stores. It is with great excitement that we're launching X-Tracted Laboratories 502 to address the need for terpene laden, highly potent concentrate products in the recreational market. WC: Your clear concentrates are top notch! What makes them so clear, is it a secret? RA: Thanks for the nice words on The Clear. It is a proprietary technology that separates cannabinoids from most other materials leaving behind a highly purified product. We license the brand and technology, but like all our products, they have years of experience and lifetimes of passion behind them. We pride ourselves in taking no shortcuts and always strive to produce premium products that always please. C: Instagram goes nuts over your Dragon Ball photos. How do you make them? 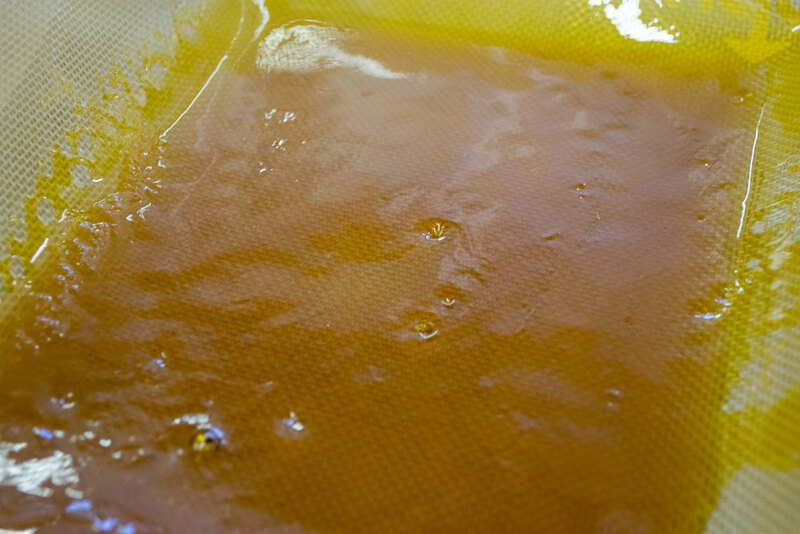 Is this a certain step in the concentrate process? RA: Dragon Balls are a little photo secret, but nothing too tricky. It is the product in its near final stage. WC: What's the most exciting place you've taken a dab and why? RA: The base of Silverton Ski Area, which is funny because at 10,000 feet you are already high. Riding down the escalator in Pacific Place when it was empty, that was just exciting to dab out in public. Also Amsterdam, because concentrates are akin to heroin as far as the law is concerned. WC: Last question, are there any do's and don'ts of dabbing? RA: Definitely do dab!! Definitely don't touch the hot nail! !